Last weekend I walked into my Saturday morning Weight Watchers meeting and said goodbye to my leader and the receptionist who has weighed me in almost every single Saturday since my weight loss journey began in November 2015. Last week I had an epiphany. It was time for me to quit Weight Watchers. I have been in recovery from binge eating disorder for 10 years. I went to therapy the first time in 2008, and again in 2014… and I’m seeking help again now, in 2018. For an in depth explanation for my decision, please watch the video on this post. I am taking intentional steps to embrace intuitive eating once and for all. I do not regret the last 2.5 years. I have been incredibly blessed by the Weight Watchers community. I have made some amazing friends and memories that I am so thankful for. The Weight Watchers program helped me lose 100 pounds, something I needed to do for not only my physical health, but my mental health. But today, I’ve reached a point in my journey that I had to make a decision as to how I needed to move forward as I began struggling more and more with body image and feelings of failure. Over the last few months I have thought long and hard about this decision and I want to make this clear. I am not telling anyone else how to feel about your own program or how you choose to feed your body. But, this is what I need to do in order to have a healthy relationship with food and my body. I have used Weight Watchers as a guideline and told myself I was eating intuitively. What I’ve learned is that I can’t fully embrace intuitive eating and be tied to a weight loss program. I left my meeting last Saturday and cried the whole way home. But, I know it’s going to be ok. I believe that at this point in my life, intuitive eating is how I can find freedom, and peace. I’m not chasing the next “thing”. I’m not “quitting” Weight Watchers because I hate Freestyle or it didn’t work. This is just the next step on my journey, one I am hopeful will lead to a lifetime of peace with my body. This is what I need to do for ME, right now. And that is all that matters. 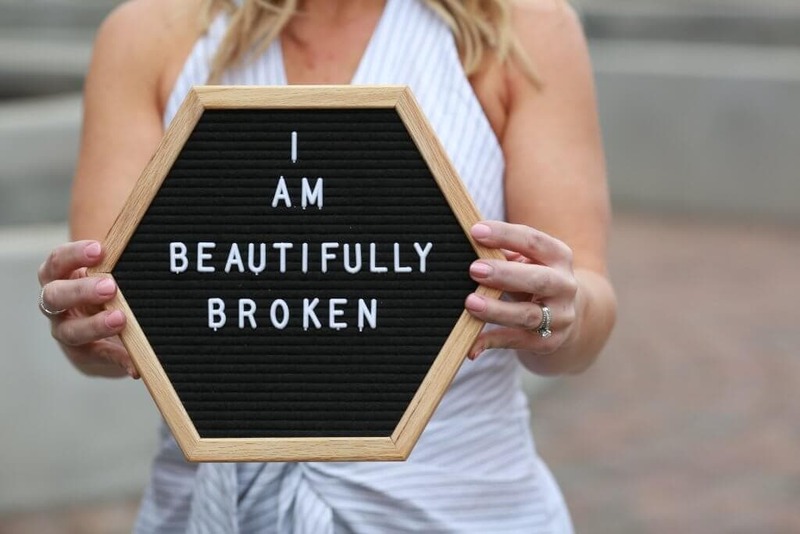 I appreciate your support and encouragement as I continue on my beautifully broken journey. Thank you so much, Julie. I’ll take that hug for sure 😉 Thanks for always being so supportive of me, it means a lot to me. Thank you so much for your support, Leah! You’re not alone! Diet culture makes living life as a normal woman so hard. If you’re looking for a program and community that supports intuitive eating, I’d suggest checking out Balance365. I never realized how many women feel the same way – diets do damage and intuitive eating heals (mentally and physically). Keep doing what YOU need to do for your body, mind and spirit. That’s all that matters. I will look into Balance365, thank you!!! Thank you for your support, Allison! I have been following your journey on instagram for about a year. You have been very inspirational and encouraging. My heart aches as you explain your decisions. You are such a light. You can absolutely never go wrong when you listen to your heart. Thank you for sharing your journey, you are a lighthouse for a lot of lost souls, mine included. Renee, I appreciate your support so much. I think this is a wise step for you. WW helped me lose 30 lbsand ive kept it off for over a year. Mindful eating and intentional eating has really been the keystone for that. I’d like to lose 15 more at some point, but if I don’t, I’m ok. I don’t want to be obsessed with the scale. I want to live and make conscious decisions about what I put in my body, but not feel guilty if I gain a pound or two because my son wants to cook me a pasta dinner! I appreciate your journey and openness. Thank you for your honesty and i look forward to more of your posts. Jill, you sound like you are in such a healthy place, I’m so happy for you!!! I’ve followed you since March when I was recovering from a back injury-I found your blog because of your back surgery! You’ve inspired me so much to eat healthfully, intuitively and ENJOY food! Thank you for always being honest and real! Amy, You are brave beyond belief for following your heart and God’s leading for you. It’s tough to make a change we you don’t have control of what the future will hold. I’ve been following WW since January 15, 2018. I found you shortly after that and have found inspiration in your posts and I truly appreciate your honesty as you share your journey with others! God bless you and your sweet family! Thank you for sharing. Good luck with this next chapter. Thank you for your support, Samantha! I haven’t heard of her so thank you for sharing it with me! Thank you so very much for your bravery and willingness to share your struggles. I understand these struggles very intimately and know that God will provide the grace you need to embrace intuitive eating. I am looking forward to reading your upcoming posts and am on this journey as well. I am older than you but so many parts of your journey are very similar to mine. I do believe that intuitive eating is a door way to freedom. Geneen Roth’s writings regarding intuitive eating have stopped me in my tracks again and again. May God bless you and He will keep you. Take care Amy. Thank you so much, Kathryn. I love Geneen Roth as well! It is so ironic that I came upon your IG post today as I follow #intuitiveeating. I had actually stopped following you earlier this year as I am also in therapy (finally, at 50!) for my own binge eating disorder. Part of my therapy was/is to not follow any diets or diet blogs. 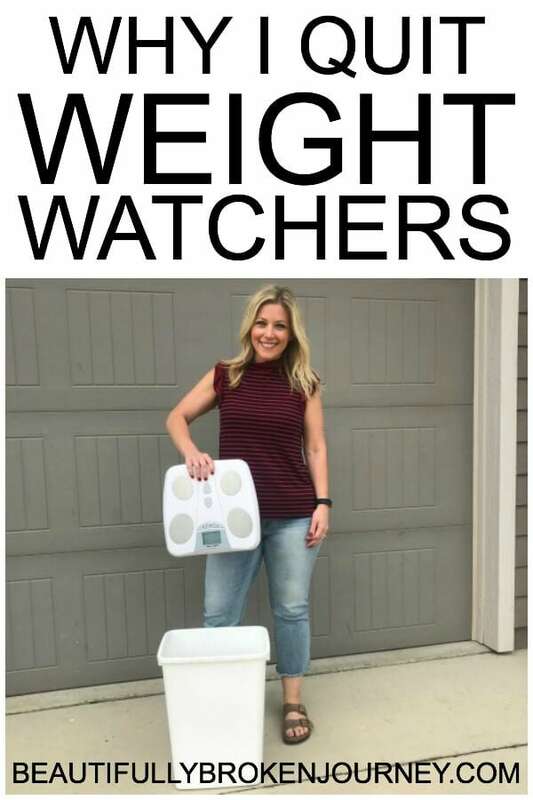 Your journey has been very inspiring to me but Weight Watchers was such a trigger for me (not for everyone) that I had to turn off the channel. I wish you every success on this very bumpy road to recovery. It sounds like you are on the right path to discovering what intuitive eating and personal health means to you. Hi Pam, I’m so glad you took the necessary steps to guard your health earlier this year. My hope is that you are feeling much better and are making progress. Thank you for your support and encouragement! Bravo to you Amy! I have been a member of Weight Watchers and following you since January. This afternoon I decided to quit weight watchers and tonight I just stumbled upon this post. Divine timing for sure. I have lost 46 lbs and have about 40 to go to hit “goal”. I am a “success” story for sure so it might seem weird to someone that I would quit something that is working. I was online only because I knew I had the willpower to be successful independently. And I was right. I was starting to feel like I was in training to develop an eating disorder (I have never had one) as I became obsessed with earning a blue dot every day. I literally earned a blue dot every day for 7 months. I started to resent the blue dots. I was terrified of not earning one and thought my entire success would end in one day?! I was cutting up Perfect Bars because they are 11 points for the whole bar and that would screw up my entire day. I did not become almost 100 lbs over weight by eating 1 protein bar each day, I promise you! It was my love affair with Ben and Jerry and their pints of Milk and Cookies! LOL. I am more interested in continuing to follow you now because to me, you will now be a standout in a sea of Weight Watchers. I am so intrigued to learn about intuitive eating. I have never heard of it. It is a season of change for both of us and I applaud you for your bravery and honestly. Most importantly I applaud you for putting your health first. BRAVO! I applaud you for your bravery to walk away from something that you felt was starting to become a concern. I’m so glad you did it before it got worse and harder to leave. Thanks for your support, I support you as well! !